I love when God gives me revelation and new insights to my life. The other day I was driving down the road and I began to think about patterns in my life, even certain patterns since child hood. The wheels began to turn (no pun intended) in my mind. What I am going to share with you are battles I have faced or face. 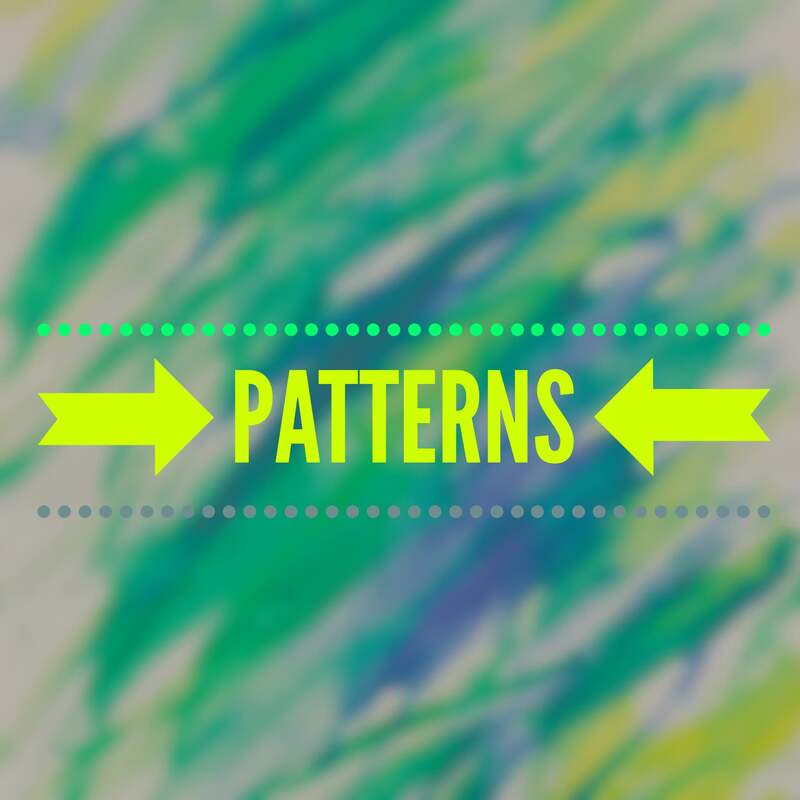 I believe these battles with patterns may help some of you with certain patterns in your life. If we can recognize what patterns affect us negatively I believe we can bring great change to our lives! Pattern of word without great follow through: Meaning, we give our word to something. We get excited and want to be apart something life changing and great but our follow up and follow through with our word/action is not our best effort. Can you relate? Pattern of commitment for a short period of time: This kind of goes hand and hand with the first one but differs in a sense. With this pattern we are committed for a period of time and we slowly begin to either fade away or completely drop off. Pattern of progress and then drop off: You’re working hard, you are progressing, you begin to see results and then you stop working as hard. This I see often when it comes to eating healthier and working out to get in better physical shape. Pattern of achieving what you want and then complacency sets in: You worked hard to get what you want, to get to where you wanted to be, you achieved something and now that it is achieved you’re not motivated to keep on pushing. I wanted to share these and be transparent with you because I know these patterns aren’t just present in my life but in the lives of others as well. In my line of work, in my friendships and relationships I have conversations and from my observation and conversations I realize with these patterns I am not the only one that struggles and battles with these in life. What are we to do? How can we truly create change and mean it? Create accountability with someone fighting the same battle. Say no and don’t feel bad about it. Pray really hard and often. Find the root problem of the pattern. Ask yourself, why is this pattern so significant and why is it there? Seek wise counseling about the patterns in your life. Do not self condemn when you fall short or mess up. The unique thing about patterns are, you can create new ones. Patterns aren’t set up for one specific design. They can be altered to create new ones. Whatever patterns you have identified in your life, it is time to make some adjustments. It’s time to make some shifts. It is time to be the designer. We have to grab a hold of our lives and there is no better time than right now. There is power in patterns. Let’s let the power of patterns in our life effect us in positive ways. P.S. – I would love to hear from you. What are some patterns you’ve noticed in your life? What are you willing to share about this to help others?